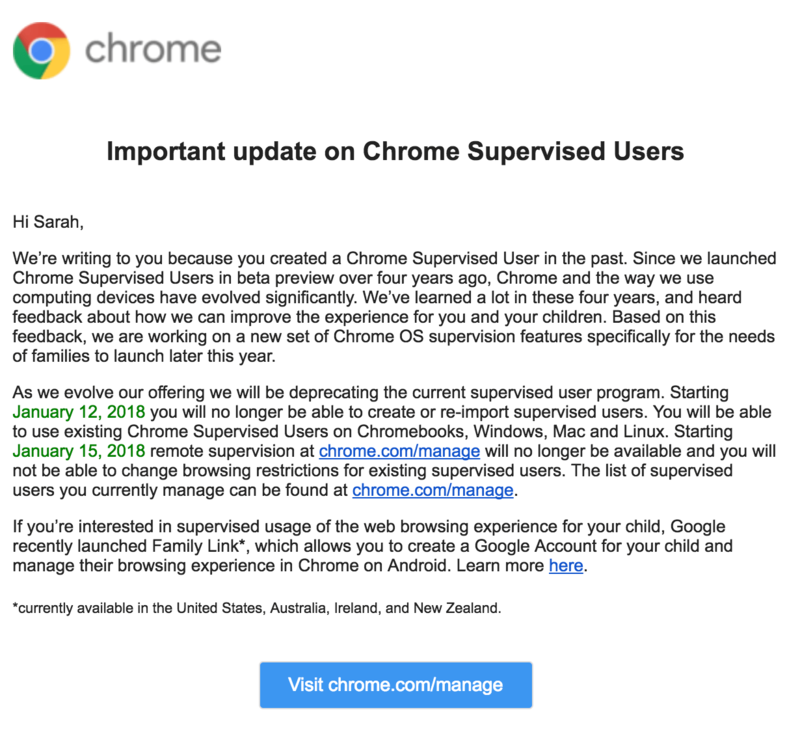 Google announces to shut down its “Chrome Supervised User “, a restriction service from the web browser for re-launching it later this year. The Parental control feature was launched by the company back in 2013 with restriction abilities. The search giant conveyed the message to its users via an email stating that it is shutting down the feature to introduce a more enhanced version later. Google introduced the beta version of the supervised users in 2013 first, for the parents to ensure their kids safety while searching the internet. The feature enables the parents to create a manageable profile on the web browser for their children's. Under that, the parents can control and monitor their kids' activity by blocking access to certain websites, enabling the safe search for filtering the Google search results, and maintain the history of web page visited. 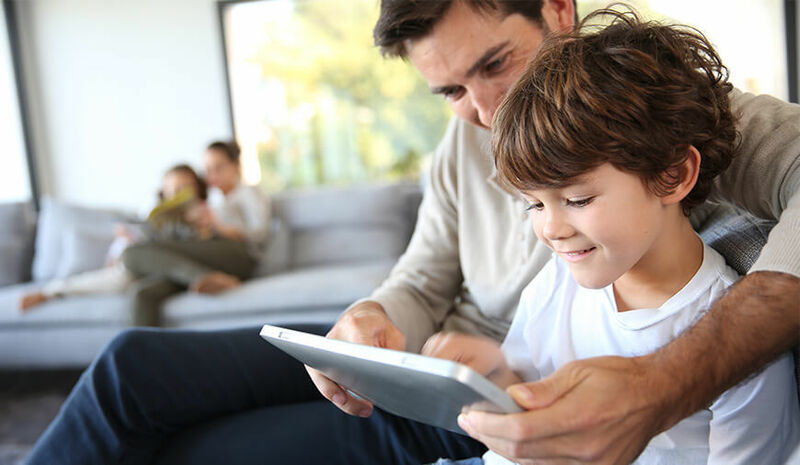 With the parent control features, users can make sure that their kids are away from any potential cyber harm or abuse by restricting their access. According to the mail that users received, from January 12, the users won't be able to create or import any supervised user. And, from January 15 the users will no longer be able to make any change in existing Supervised users, the users will not be able to add any restriction in the existing Supervised user account. This means the parents taking the help of ‘Supervised users’ will be able to use their existing Supervised user profile until January 15. “Since we launched Chrome Supervised Users in beta preview over four years ago, Chrome and the way we use computing devices have evolved significantly,” Google wrote in the mail. “We’ve learned a lot in these four years, and heard feedback about how we can improve the experience for you and your children. Based on this feedback, we are working on a new set of Chrome OS supervision features specifically for the needs of families to launch later this year,” Google mentioned. In addition to this change, Google also advised the users to switch to the Google Family Link as a temporary solution. The feature was launched by the company back in September that allows the users to create a Google account for their kids and manage the browsing options. However, the feature is only available on chrome for Android devices, while the Supervised users address the desktop users with chrome browser. Unfortunately, Family Link is only accessible to few countries, what if a user doesn't belong to those regions. As Google promised to launch an improved version of the Supervised users later this year, so what’s the solution for users having no access to Family Link?